Government contracting is as old as government itself. Two key factors: 1) reduced budgets and 2) more complex contracts, have forced government to learn more about supply chain learning. First, as budgets and the role of government (particularly Federal) in business declines, the impact of government acquisition has declined as well. Reduced budgets have accomplished what real or perceived excessive regulation did not: reducing the number of contractors competing for government business. Company mergers and acquisitions, driven by reduced or diversified markets, have decreased the number of firms available to compete for requirements. As a result, now need a growing understanding of informed and proficient supply chain management for mission success. The government is learning more about and gaining increased appreciation for judicious supply chain management. Second, as contract requirements have become more complex, no prime contractor can be expected to organically maintain all product and service expertise in-house. Program and contract manager oversight, Defense Contract Management Agency (DCMA) Contractor Purchasing System Reviews (CPSRs) and Defense Contract Audit Agency (DCAA) financial audits have become more rigorous and important. The government is learning more about and gaining increased appreciation for judicious supply chain management. We are no longer in the American-dominated business world of even 5 years ago. All products, services, labor markets, transportation and logistics are interconnected. The impacts on contracting today are immediate and permanent. 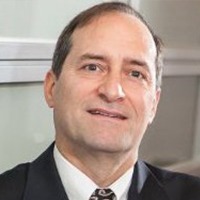 The government’s initiatives in shared services, strategic sourcing, cyber security, category management, growing use of “Capability Maturity Model Integration (CMMI) certified Governmentwide Acquisition Contract (GWAC) programs and growing educational offerings from the National Contract Management Association (NCMA) are all direct responses to these trends. Subcontract and supply chain management isn’t a “Contract Management Body of Knowledge (CMBOK)”™ competency only relevant to prime and subcontractor buyers or procurement staff. Indeed, all contracting (as well as program, or even business professionals) should understand these principles. Ask Apple or Toys “R” Us Chief Procurement Officers what can happen if supply chain isn’t closely managed! It’s time for government contracting managers to better appreciate and understand economic, program, supply chain and subcontracting principles and practices beyond anything that need be documented in the FAR or state and local procurement code. This increase in knowledge will result in reduced costs and effective acquisition practices demanded by today’s customers. this article is not intended to constitute investment advice, nor is it intended as an offer or solicitation of an offer or a recommendation to buy, hold or sell any security. Any use of this article without the express written consent of Guidepoint and Michael P. Fischetti is prohibited.